Thirty years ago we were seeing a great shift from away from the first generation of 8-bit home computers to 16 and 32-bit platforms such as the Atari ST and Commodore Amiga. 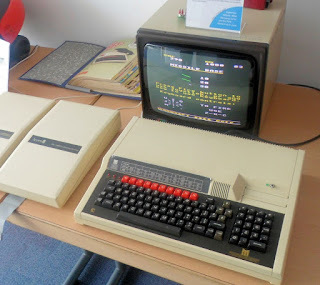 But 8-bit computing wasn't dead yet, and low cost devices such as the Amstrad CPC 6128 and PCW along with the Sinclair ZX Spectrum 128 showed that there was still life in these simple devices yet. The Acorn BBC Master belonged firmly in the second camp, an improvement over the original BBC Micro launched five years earlier. There were various models of Master available, but the most common one was the Master 128. 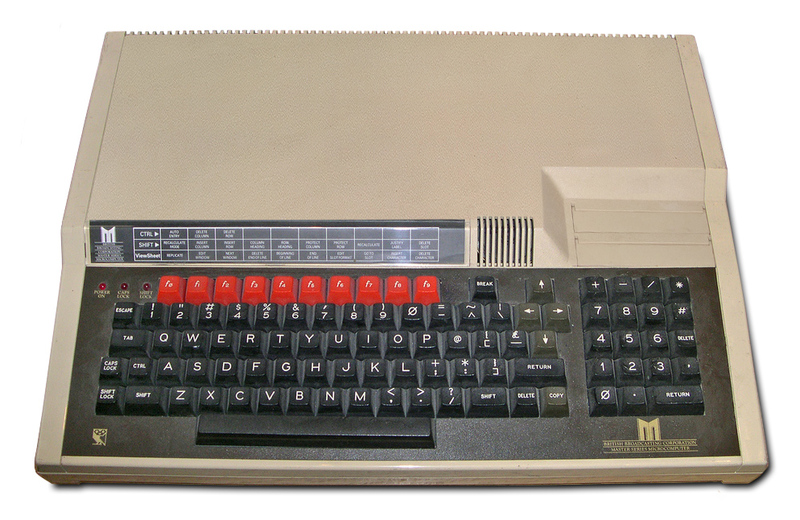 Although the original BBC Micro was a popular and technically capable device, one key problem it had was the lack of memory. The 6502 processor at its core could only directly address 64KB of memory, 32KB of which was used by the ROM and up to 20KB was used by graphics.. and a about half of the meagre amount left was allocated to the system. The BBC Master 128 got round this problem by allowing memory to be addressed in banks which could be paged in and out when needed. The Master added two cartridge slots and a slightly upgraded processor, and crucially video memory was now separate from main memory. As ever, the array of expansion ports was impressive - there was a floppy disk interface, optional network interface, A-D convertor port, serial and parallel port, plus expansion ports and most interesting of all a "Tube" interface for a second processor. The Tube allowed for a second 6502 processor, or a Zilog Z80 allowing CP/M capabilities or even a National Semiconductor 32016 which could run a variant of Unix. When running with a Tube coprocessor, the Master simply handled the input and output which allowed the Master to run theoretically anything that could be squeezed into one of the beige expansion boxes. There were other versions of the Master too, notable the Master Compact with a difference case design and integrated 3.5" disk, the Master AIV (used in the BBC Domesday Project) and the Master 512 with an Intel 80186 CPU and 512KB of RAM. In one form or another, the Master was around until 1994 when it was finally discontinued. It proved quite popular, primarily in the UK education market. Although it had some interesting features, it was hardly a groundbreaking machine. As it turns out, Acorn were developing something that would change the world - the ARM-based Acorn Archimedes that was launched the next year. But more about that another day. These days the price a BBC Master ranged between around £50 to over £200 depending on condition and peripherals.